Paperback, 8.5 x 11.75 in. / 40 pgs / illustrated throughout. 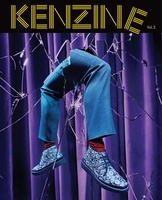 Kenzine is a collaboration between Toilet Paper magazine and Kenzo. 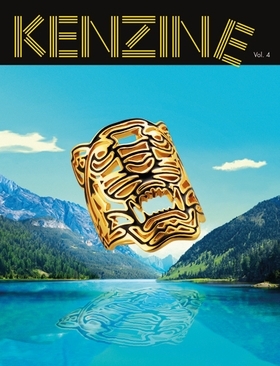 Named after Kenzo's online blog, this fourth issue of Kenzine has been published in a limited run of 2,400 numbered copies. Toilet Paper was founded in 2010 by Maurizio Cattelan and Pierpaolo Ferrari with the art direction of Micol Talso as a picture-based magazine. 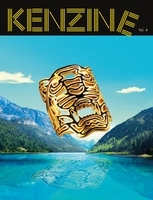 Photos published in the magazine have been applied to a variety of products and media, exploring the multiple possibilities for images to live beyond the pages. 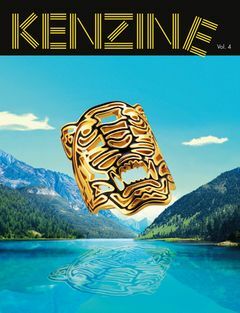 Here, the Toilet Paper creative team met with Kenzo and ideated the advertising campaigns for the Fall-Winter 2013, Spring-Summer 2014, Fall-Winter 2014 and now Spring-Summer 2015 seasons. FORMAT: Pbk, 8.5 x 11.75 in. / 40 pgs / illustrated throughout.